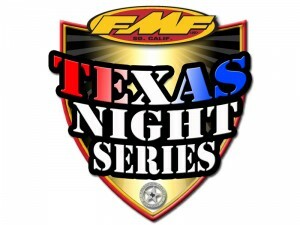 Due to the weather we have rescheduled Round 1 of the 20th Annual FMF Texas Night Series kicking off at Freestone. 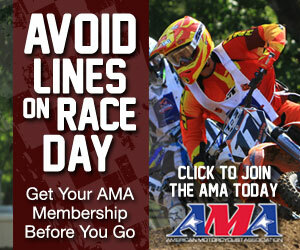 The double header will be April 27th. 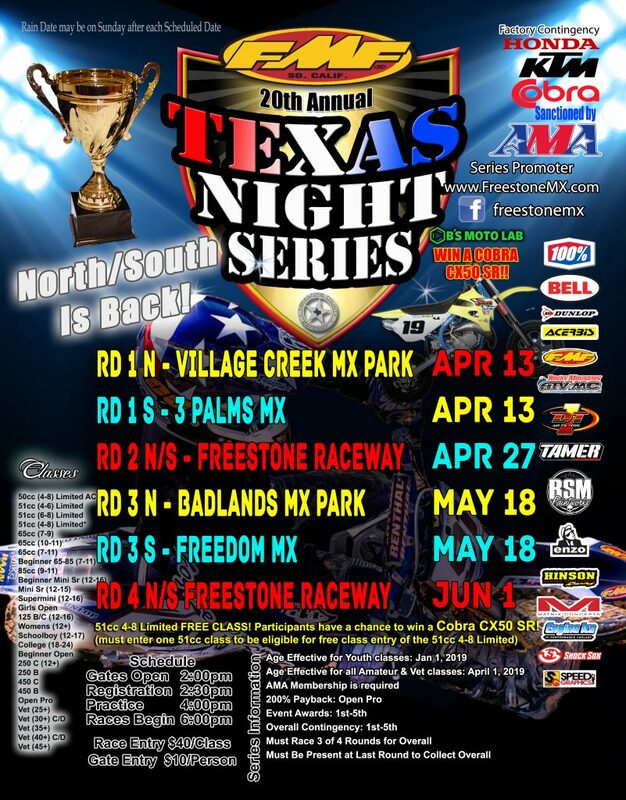 Round 1 will be at Village Creek MX Park for the North and 3 Palms Mx in the South April 13th. 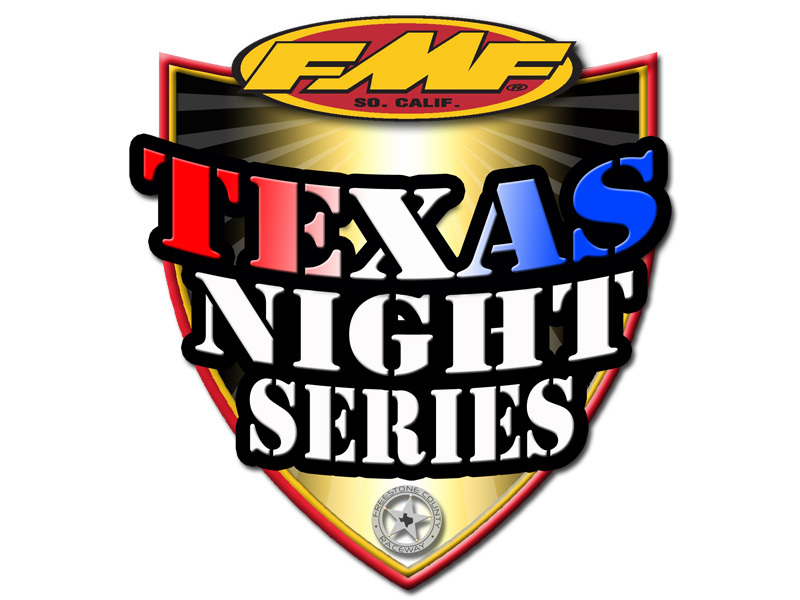 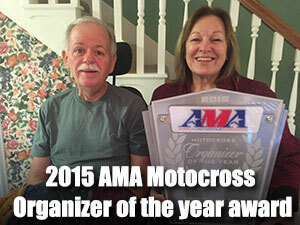 ← 20th Annual Texas Night Series B’S Moto Lab Support!